This "you got this" print is perfect for a gallery wall collection or on it's own. The frame and mat are for display purposes only, this listing is for the you got this print. 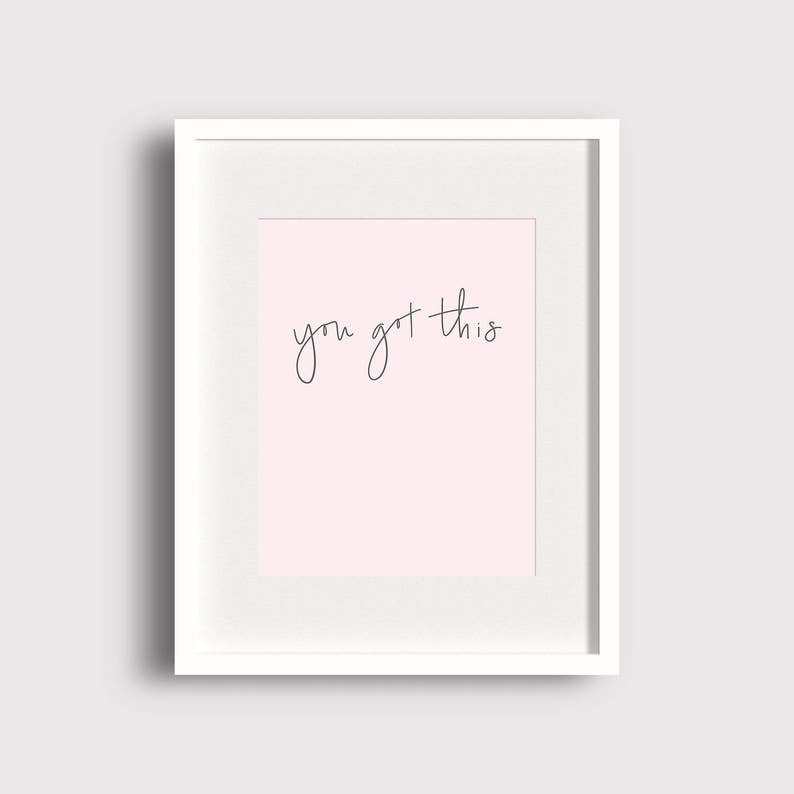 I hand lettered this "you got this" print for myself as a positive daily reminder. It's printed on 100% cotton, acid-free, archival 230 gsm paper by a professional printer and will arrive at your doorstep ready to be framed. Please allow 3-5 business days for printing. If you love this print and would like a custom color, size or orientation, send me a message, I'd be happy to help! The pink color is a light blush pink. Colors may vary slightly monitor by monitor.